1. 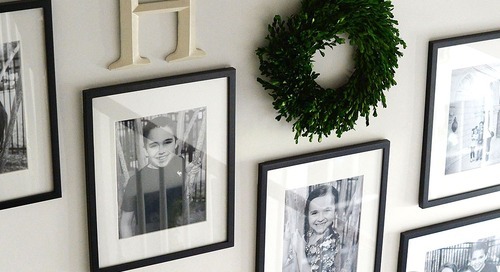 After applying the face decals and planning out the layout, apply Command™ Picture Hanging Strips to the backs of your frames and then onto a clean, dry wall. 2. Use a variety of different shaped and sized frames to create dimension and to form the outline of the "hair". 3. 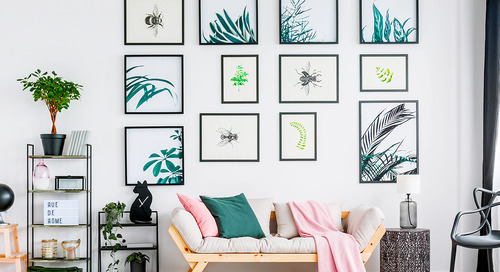 After you are finished hanging your frames, stand back and look at the final display - adjust or move any of the frames if needed. Get creative with custom lighting for your space. 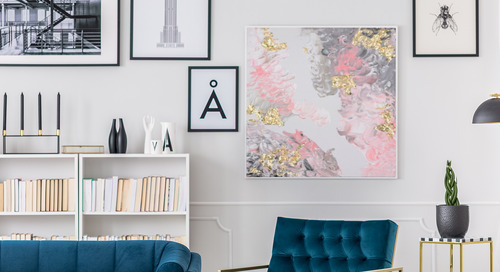 Here are some different ways you can decorate around a DIY art project and really own the trend. With this DIY acrylic pour, you can create a piece of art that looks intricate but hardly takes any time. 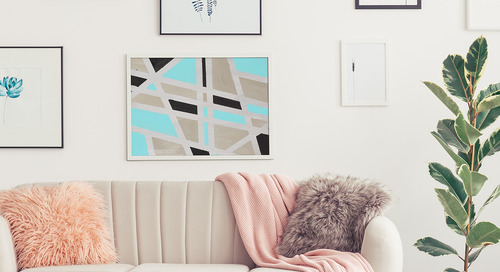 Add some shape and colour to your wall with this minimalist DIY geometric painting. 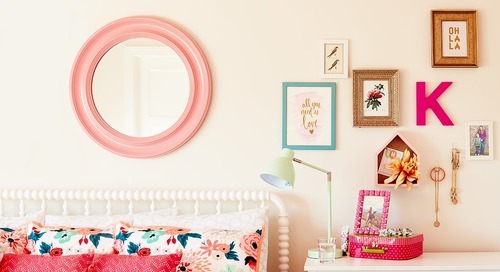 Creating your own canvas can add a unique piece to your décor no one will have because you made it yourself! Command Brand™ Picture Hanging Strips, Hangers and Hooks allow you to mix and match items with ease. 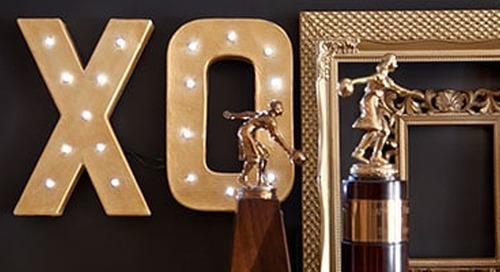 Create an elegant, welcoming space above your staircase that reflects your style using framed family photos and other decorative items such as a monogram letter, wreath and decorative plaques. 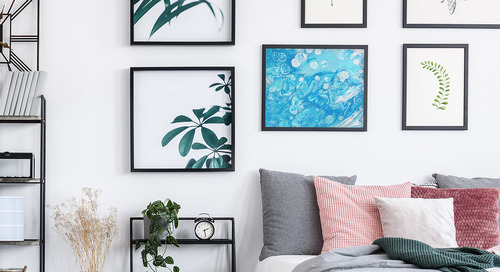 Decorate your reading nook with artwork and wall décor, with our damage-free picture hanging products. 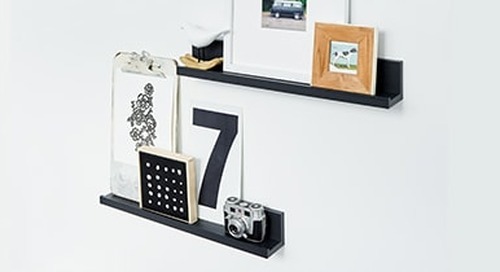 Picture ledges help create a modern look on your wall, without damaging your wall.